Click on a subject to view help articles on that subject. Yes, we have Workers Compensation Insurance, Liability Insurance, and Auto Insurance. Millwork, Inc. also has a MA Home Improvement Contractor (HIC) license #112555 and Glenn’s unrestricted State Construction Supervisor’s License number is #50261. In addition, each of our project managers has his own individual State Supervisor’s License. Where, geographically speaking, will you work? Do you use the same subcontractors all the time? We have long term working relationships with our subcontractors, all of whom share our high standards of workmanship and professionalism. We require all our subcontractors to embrace our teamwork oriented approach and to always respect your home, property, and your neighbors’ property. What types of construction projects do you do? In the over 30 years of experience in residential construction, Millwork, Inc. has successfully completed countless projects: new home construction, renovations, additions, kitchen and bath remodels, restoration work, custom carpentry and everything in between. No job is too big or too small, and we tackle each project with the same high standards of quality workmanship and materials, and professional, courteous service. Do you do structural repairs? Yes, usually under the watchful eye of a structural engineer or professional engineer. Their job is to exactly specify the repairs to make, and we are the mechanics responsible for completing those repairs correctly. We have done a lot of significant structural work over the years including steel beam assemblies, complicated framing, home jacking and sill replacement, and foundation underpinning. Do you do small jobs? Yes, we do. We have always done small jobs, even when we were very busy with big jobs. It is an important part of running a full-scale construction operation. Attention to detail is of paramount importance to us, and that attention goes into the little tasks as well as the big jobs. We will hang a storm door, clean your gutters, replace sash cords, shave the doors so they don’t stick every August, fix the soap dish, and do just about anything else on your “honey-do” list, generally on a Time and Materials basis. Will you fix rot and bug damage? Yes, we have done a lot of rot repair and handled many bug infestation jobs over the years. We always do this type of work on a Time and Materials basis because the work is normally much worse than the visible damage would suggest. What is my role as the customer before the project begins? The most important thing you can do is to tell us as much as you can about the work you would like done. During the bidding stage, we are often asked for a fixed price quote on a poorly defined scope of work and that’s just not possible. A detailed, comprehensive bid requires an equally detailed and comprehensive scope of work. How exactly do you bid a job? We bid work either on a Fixed Price basis or on a Time and Materials basis. In a Fixed Price situation, we bid off a well-defined set of plans and/or job specifications. These jobs have a start price and an agreed upon payment schedule and any changes are executed via change order while the work is underway. In a Time and Materials (T&M) situation, we quote you our Labor Rates per hour, and all other job costs are charged to you at our cost plus a markup. We usually work under a T&M arrangement if the plans must evolve as the work continues or if the scope of work is impossible to determine at the time of the bid. Some kinds of work, such as bug damage repairs, rot repairs, structural work, and historical restoration work almost always are done on a T&M basis. Do I need plans to get an estimate? That depends on the nature of the work. For smaller repairs, bathrooms, and carpentry work you may not need plans. However, it is very helpful if you know what you want. Links to websites, clippings from a magazine, or an address in town with the front entry you just love will all help us understand what you want done. For additions, kitchens, and larger remodeling projects you will need plans. Do I need to hire an architect or professional designer? Again, the answer depends on the magnitude of the job. We generate our own plans for bathroom jobs, for some kitchen jobs, and for smaller projects. For bigger jobs, we usually do a rough estimate, and then suggest that you get plans drawn up if your budget is realistic. Can I hire my own architect or designer? Absolutely. We can work with a professional of your choice or can suggest one from our list of reliable partners. We do like to be involved early in the design process to help lend some reality to the budgeting process. We have seen some magnificent plans never get built because all the bids exceeded the budget. This unfortunate event can usually be avoided if the builder is part of the design process. I don’t need your “best” work, so can I get a price for the “good” quality of work and save some money? We don’t offer “good, better, and best” like some of the big box stores do. We have worked long and hard to refine our craft and have built our reputation in the community by doing the best job we can every day. If you are looking for “good” instead of “best” we are not the crew for you! Can I be my own general contractor and save money? Many people attempt to do this but few have the knowledge and/or time to do all the work a general contractor does. If you decide to GC your own project, you are responsible for all aspects of the project, including procurement of materials, managing change orders, scheduling and coordinating the efforts of the sub-trades, and interfacing with inspectors and engineers. Can I use my own subs and save money? Sometimes this works well, but it can be a difficult experience and adversely affect the quality of work done on the job. There is a lot of teamwork on a construction site between the workers from different trades. When we enter into these relationships it is important to have expectations outlined and understood by everyone on the team. Can I buy my own materials and save money? If you decide to purchase your own materials, you will be responsible for all procurement issues and warranty issues related to those materials. In addition, you may end up paying for lost labor if necessary parts are not on site when needed. In addition, most manufacturers warranties do not cover labor so if that toilet proves to be defective and needs to be replaced under warranty, you will end up paying the plumber to do the work twice. What is my role as the customer in the construction process? Once work begins, we need you to make decisions promptly, speak up if anything at all concerns you, and of course pay the bills as scheduled. Will there be anyone licensed on my job? 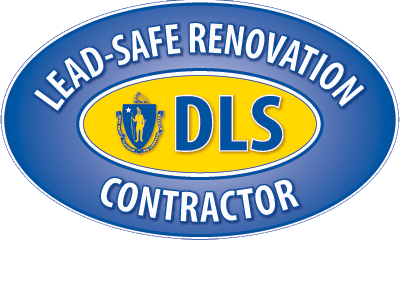 Yes, all three of our project managers have their own MA Construction Supervisors License. Do I need to be home while work is going on? Not at all. You can feel confident leaving your home in our care when you head off to work. The Millwork team and our sub-contractors take pride in the respect we show for your home, property and neighborhood. Early morning or evening meetings, phone calls, text messages and emails are used to keep everyone on the same page. We build and remodel homes with unparalleled craftsmanship, using only the finest quality materials, in an environment of trust where your ideas have an opportunity to come to life. © Millwork, Inc. | Website by Cloud a la Carte.